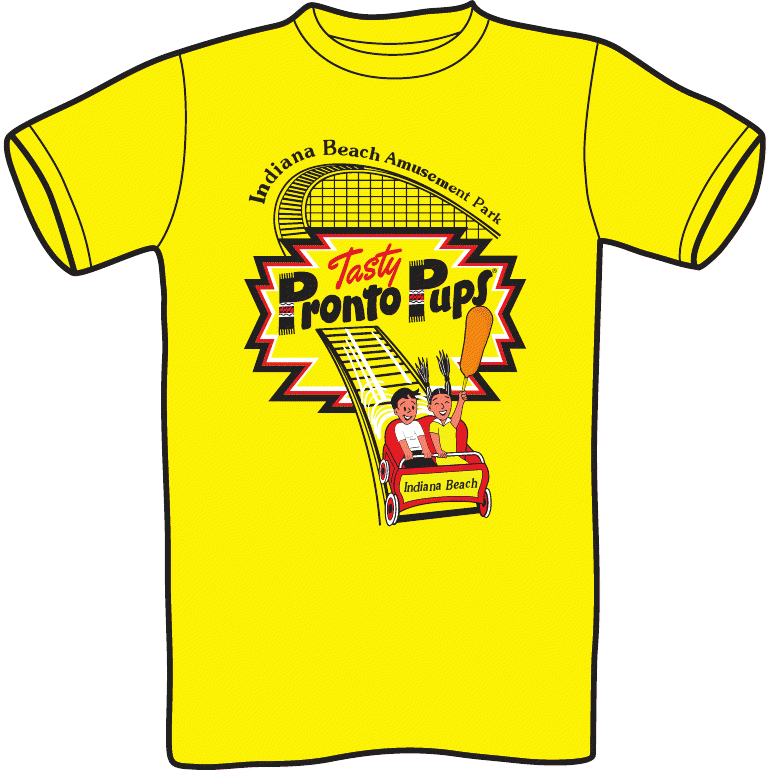 Pronto Pup T-Shirt | Pronto Pup Co., Inc.
Beautiful mustard yellow 100% Cotton Pronto Pup T-Shirts now IN-STOCK! Get’em while their HOT! Picture shown is the design on the shirt minus “indiana beach”.